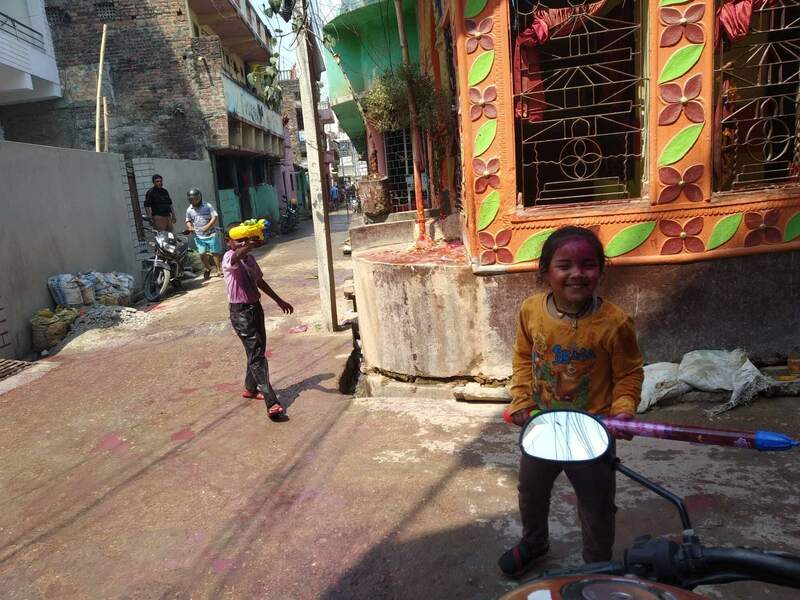 In Southern Nepal, the festival of colours begins with the burning of samat on the eve of Fagu Purnima. 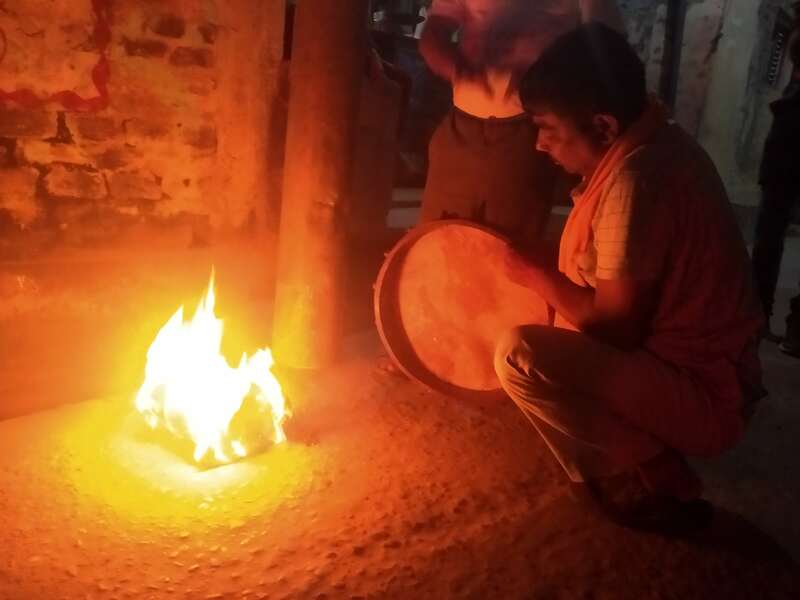 Samat consists of five different types of grains, and the burning is called holika dahan. 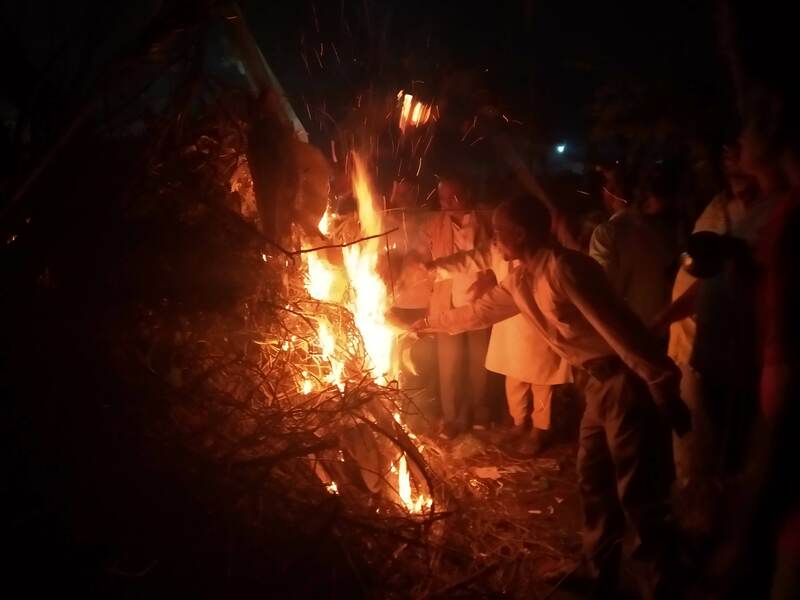 Holika is a Hindu mythical character who personifies evil. Her burning symbolizes the victory of truth. 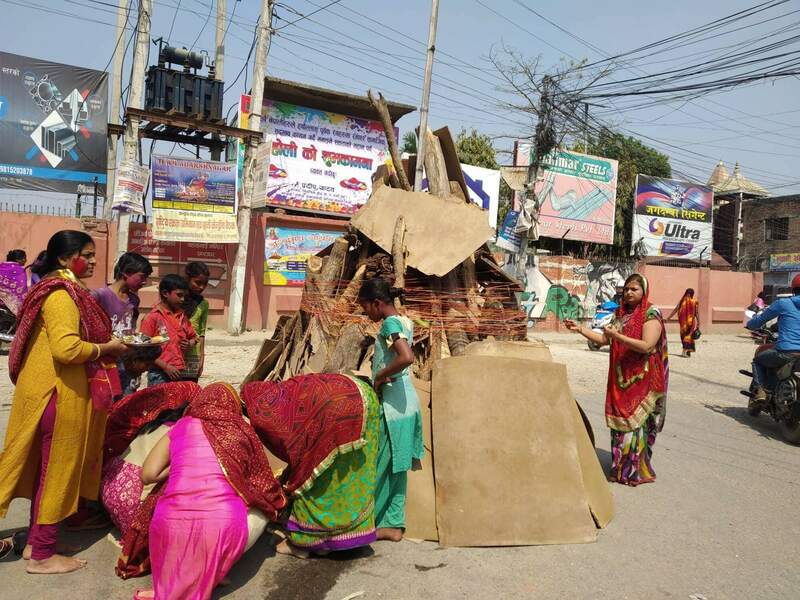 In Birgunj, women prepare the mound of samat during the day. As evening arrives, women and men start singing traditional songs. While the women sing gentle, devotional songs describing gods playing Holi, the men sing loud, boisterous and often romantic songs. 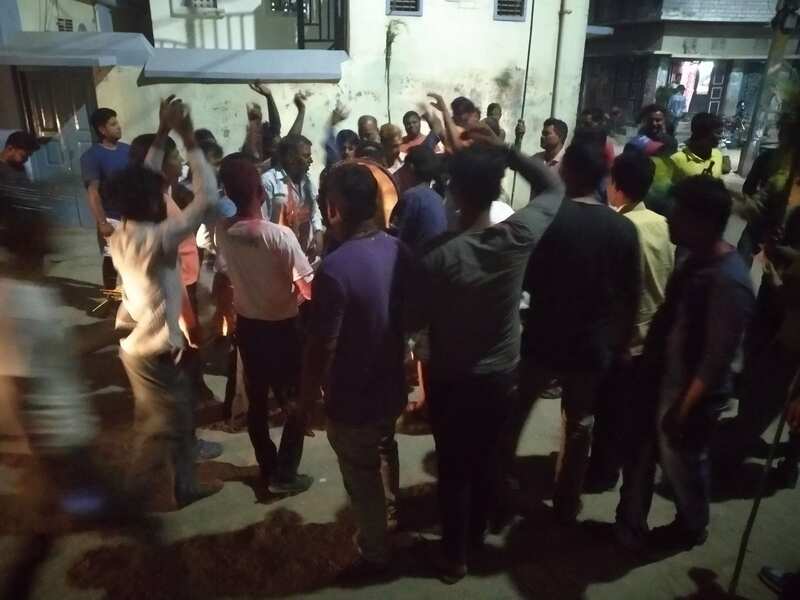 Then, men sing and dance their way to the mounds of samat in every neighbourhood, and end the celebrations by burning the samat. 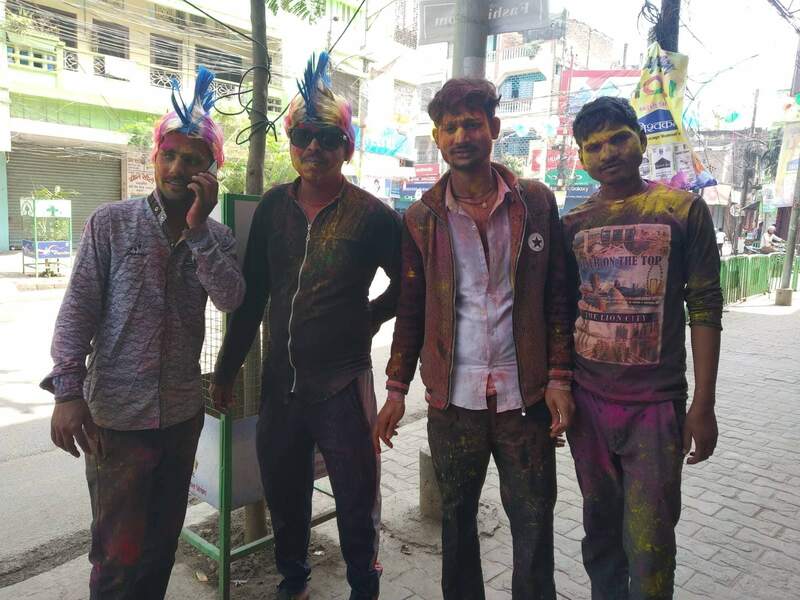 Holi then begins by applying colours on each other. Women prepare samat which is made from stalks of five different types of grains and is burnt on Holi eve. The mound also contains piles of cow dung, sacred thread, and other flammable materials. 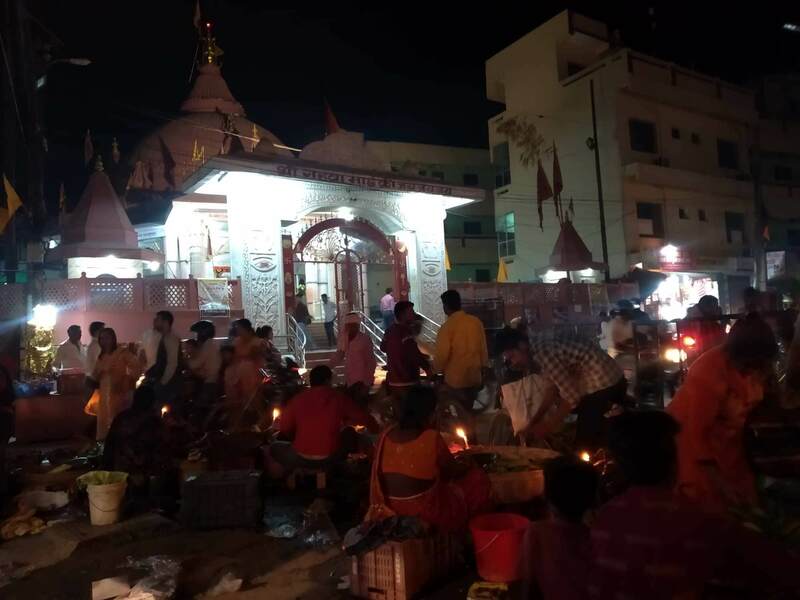 Devotees flock the Gahwa Mai temple at Birgunj’s centre. 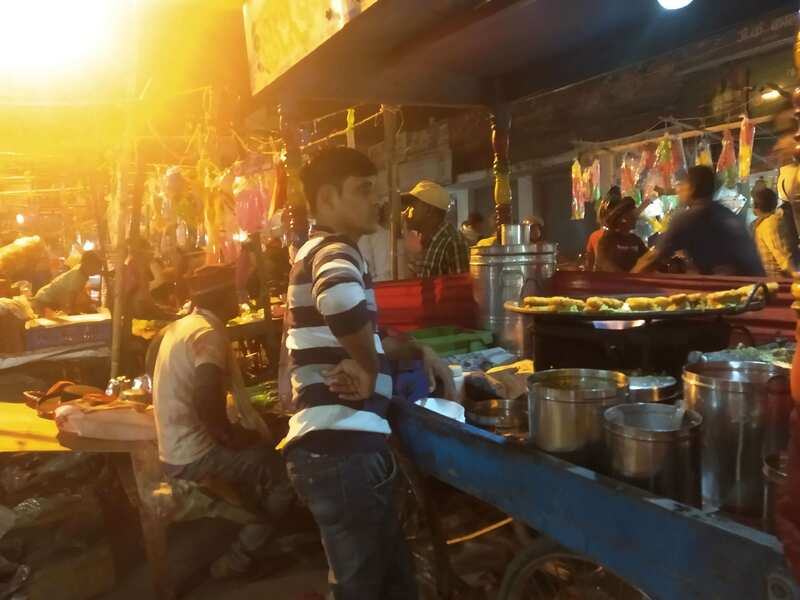 The temple is lively before Holi festivities start. 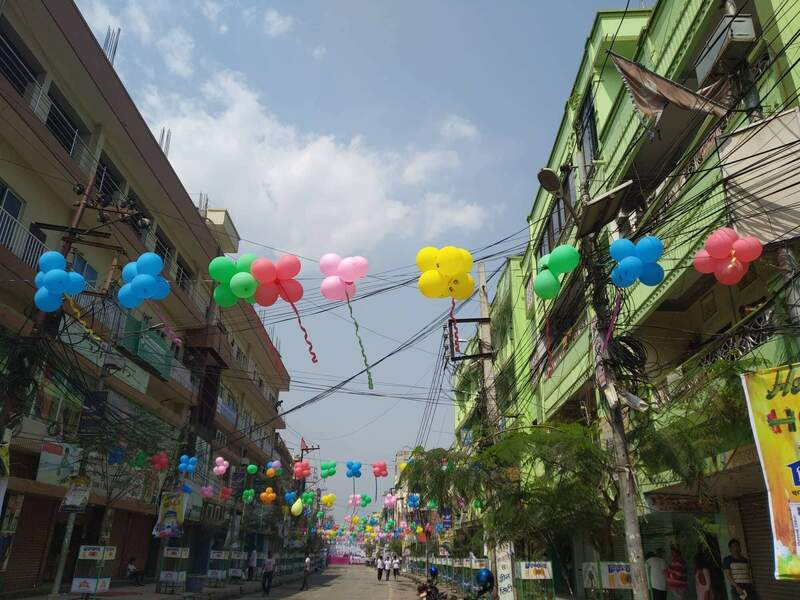 The market before Holi festivities. A man prepares his drum called daph by heating it in the front of the fire. 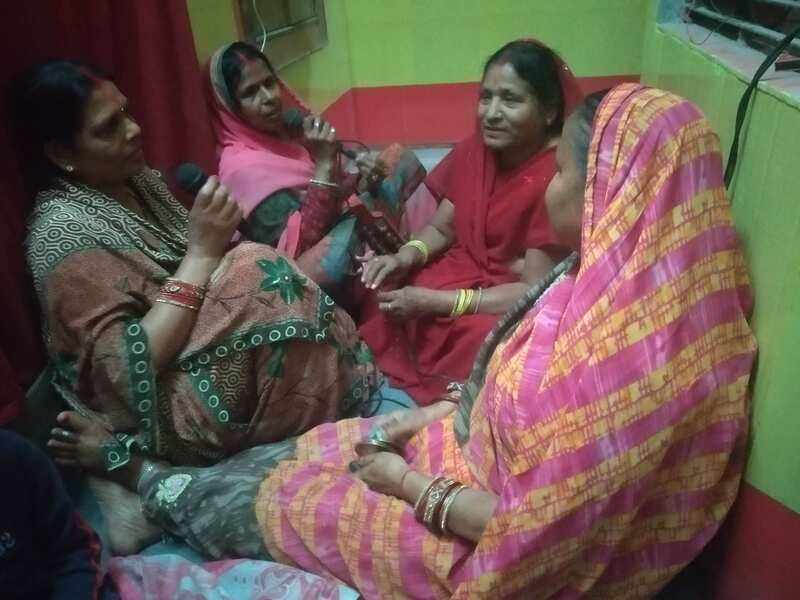 Women of Panchmukhi Hanuman Mandir, Birgunj – 8 sing devotional songs about Holi inside the Hanuman temple. 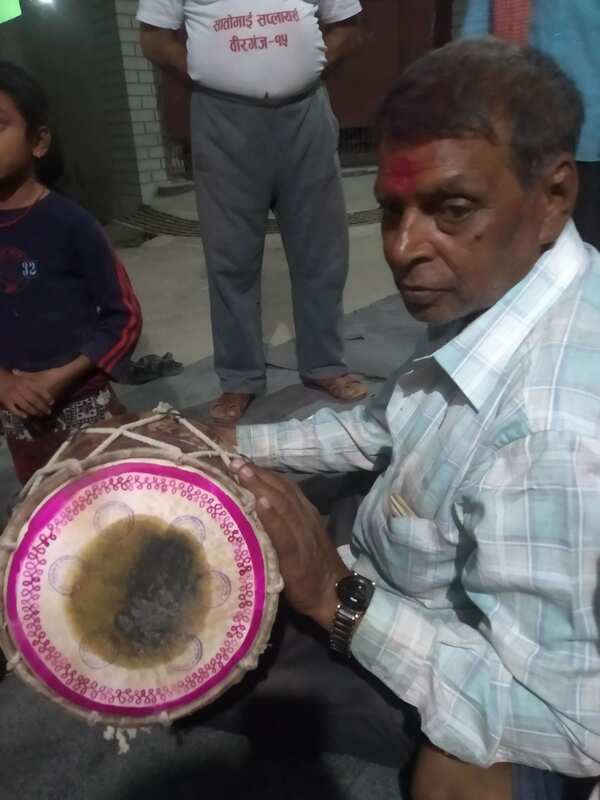 Lalbabu Sah prepares his dholak before the men start singing. 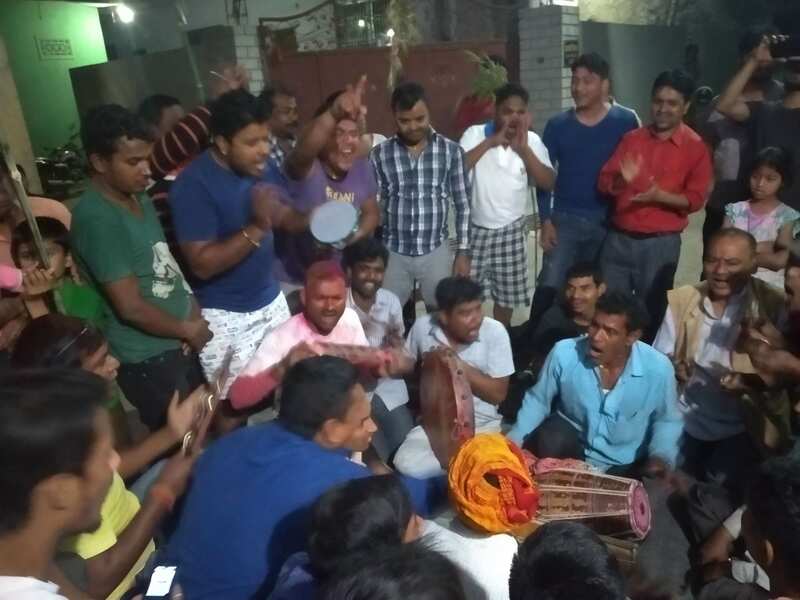 Men of Panchmukhi Hanuman Mandir, Birgunj – 8 gather in groups to sing boisterous songs on Holi eve. 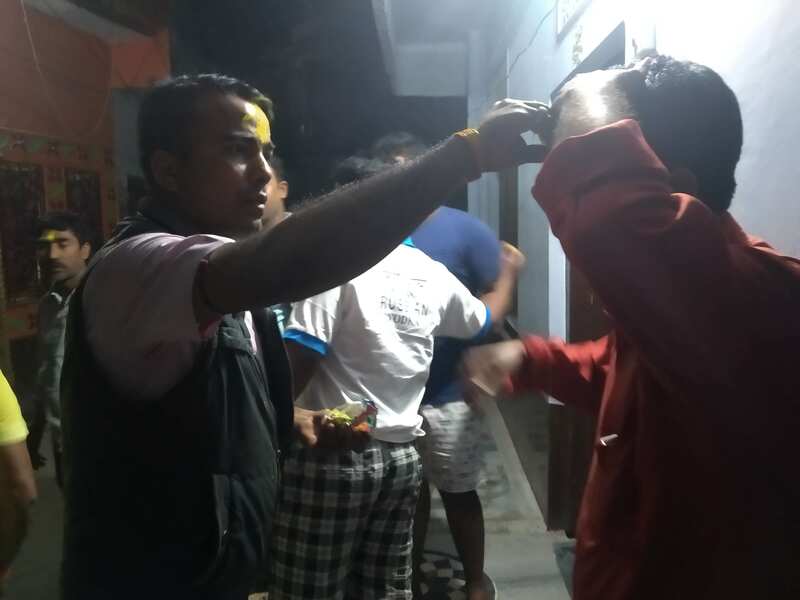 Men begin playing Holi by applying colors to each other at the end of Fagu Purnima. 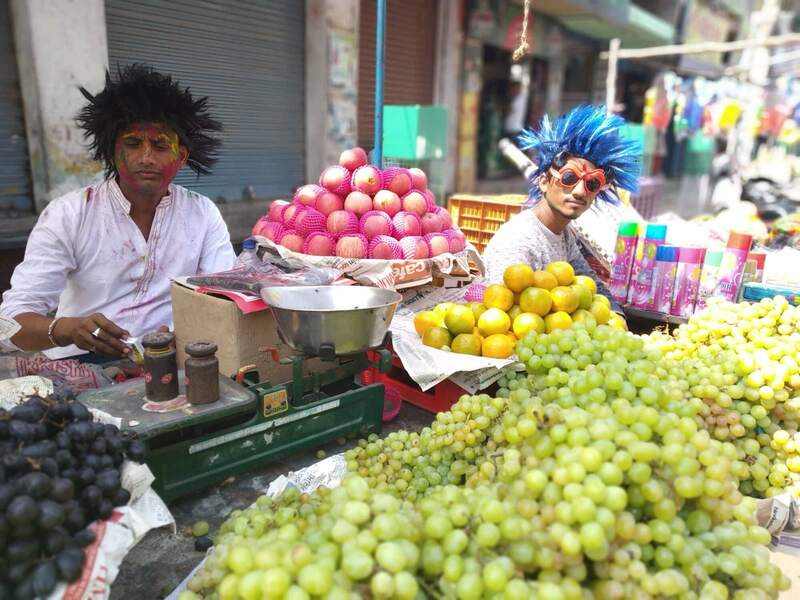 Men sing and dance to local songs as part of Holi festivities. A man takes his samat or stalk of grains to burn. 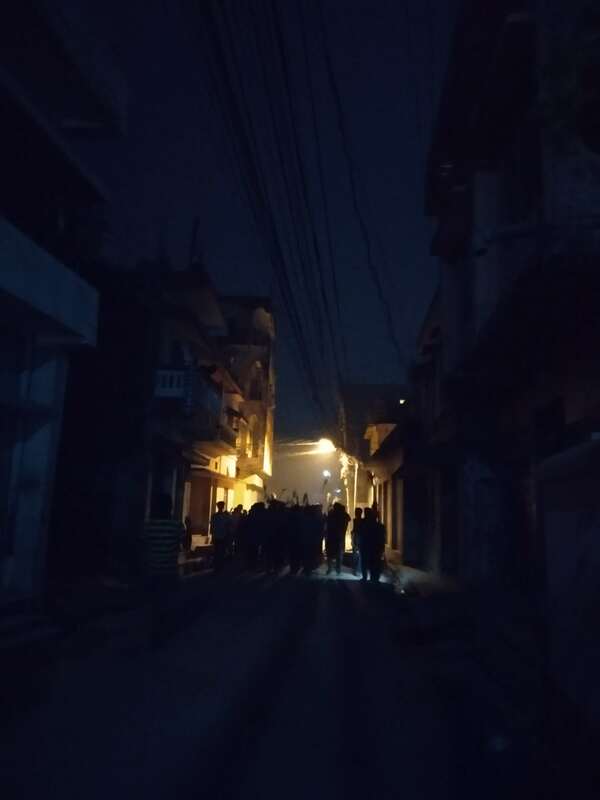 Men sing and dance through their village as they take the samat stalks to burn. 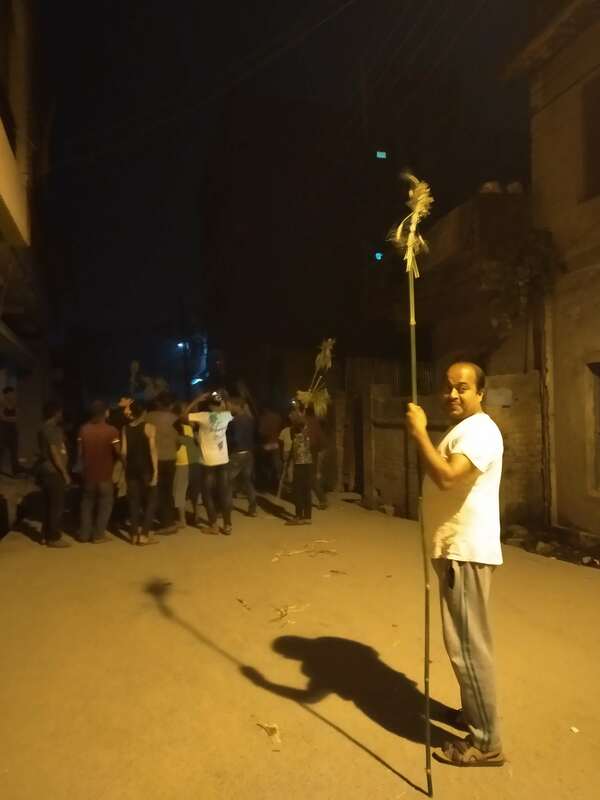 Finally, the stalks of grains are burnt in a ritual called Holika dahan.